Heat oven to 375°F. Spray large cookie sheet or 14-inch pizza pan with cooking spray. 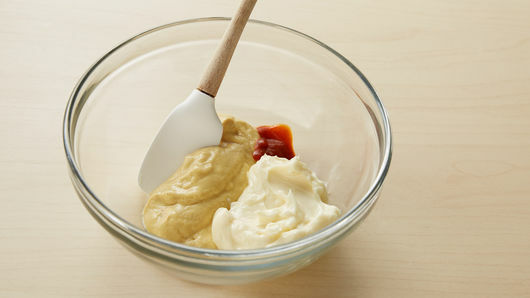 In small bowl, mix mayonnaise, mustard and Sriracha sauce until blended. Separate dough into 8 triangles. 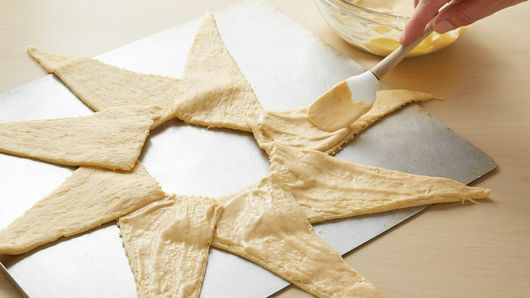 On cookie sheet, arrange triangles with short sides toward center, overlapping in star shape and leaving 4-inch round circle in center. 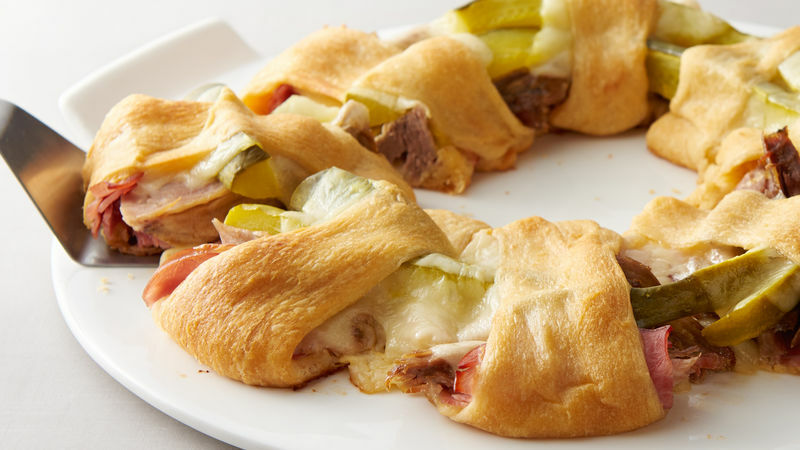 Spread mayonnaise mixture evenly over dough. 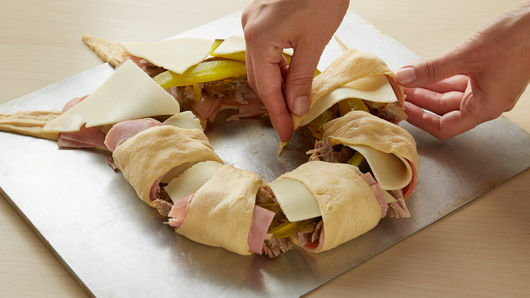 Arrange 8 of the cheese triangles and all ham slices over mayonnaise mixture, toward center of ring. Top with pulled pork. Place pickle slices over pork crosswise on short sides of triangles. Top with remaining 8 cheese triangles. Bring points of dough triangles over filling, toward center of ring; tuck under to form ring. Bake 18 to 20 minutes or until golden brown. Cool 10 minutes. To serve, carefully place ring onto serving plate. My grandparents, my parents and many other relatives have always traveled to Florida seasonally to escape Michigan winters. Many times, for school breaks, I traveled with them. As a little girl, I experienced southern BBQ and country hams as well as southern sweet yeast dinner rolls and the eggy sweet Cuban yeast bread called “medianoche.” Over the years, Floridian cuisine has become increasingly influenced by Cuban cuisine. As an adult, I’ve enjoyed traveling to Miami, the Florida Keys and the Everglades. I have not been to Cuba yet, but just by eating at increasingly popular Cuban food venues in Florida, I have developed a love for Cuban food—I especially love the Cuban layered sandwiches. I love how the cheese glues everything together and the salty crunch of the dill pickle. I am so happy Pillsbury™ introduced Sweet Hawaiian refrigerated crescent rolls! The sweetness of this dough helps to mimic the traditional Cuban bread flavor in this recipe I have developed and is wonderful contrast to the saltiness of the dill, ham and cheese. A can of this dough is what I use to hold my favorite Cuban sandwich ingredients together. I enjoy serving this dinner ring alongside a variety of fresh tropical fruits to my Michigan family and friends so they can experience the popular Florida tastes I enjoyed as a child.